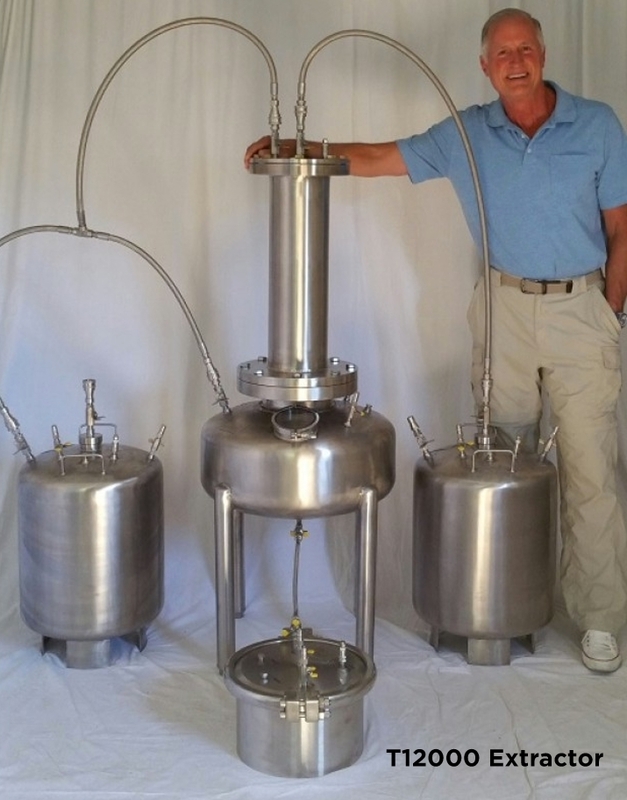 Ten short years ago, the first closed passive hydrocarbon extractor made a splash in the cannabis industry. 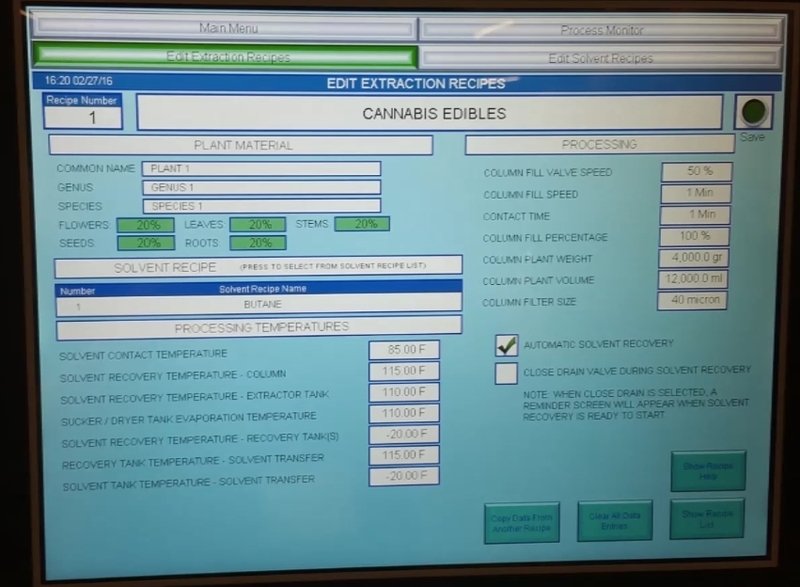 Capable of turning marijuana flowers into a highly potent concentrate, it’s no surprise that extraction machines are responsible for almost 50% of the products purchased in dispensaries today. As it goes with all profit-generating innovations, dozens of companies began to quickly manufacture these incredibly expensive pieces of machinery. Their haste allowed for a rapid expansion of production, coupled with a new niche of extraction professionals manning the controls. Unfortunately, the majority of extraction machines developed throughout this time period were missing crucial controls; manufacturers concentrated on removing features so as to lower their retail prices. As extraction specialists become more sophisticated and a need to accommodate the ever-changing landscape surrounding this technology grows, the demand for a larger feature set is returning. David McGhee of Tamisium Extractors appears perfectly positioned to meet this demand. As the developer of that first closed passive hydrocarbon marijuana extractor, there are few who rival his expertise. Our discussions with David have afforded us with an enriched understanding of the sophistications that surround the science of extraction as well as the pros and cons straddling each decision point in the process. David’s long history of experience has exposed him to the plethora of problems one is bound to face in the extraction arena. A majority of the problems have elegant solutions– afforded to those willing to experiment and learn. However, several problems will remain unsolvable as they violate some fundamental laws that govern the process. In order to assist extractors with identifying which problems are solvable, David has created an introductory rule-set applicable to all extraction processes that he dubbed the “Laws of Extraction”. Below, you will find the first installment of a series that speak to these laws with an emphasis on the value of foundational knowledge when refining your extraction process. “Adding heat increases yields” is an example of a law of extraction. It’s a rule you simply can’t escape or change. Within David’s framework, a law is something inherent to the science and chemistry of the process and a formula is a method that takes these laws into account. It would be senseless and wasteful to try and develop a formula that attempts to defy a law. Extraction is a delicate process that requires a great deal of experimentation and refinement throughout the search for a perfect formula. According to David, most people who end up with problematic loop systems do not incorporate an understanding of the laws of extraction as they experiment. You can limit the decrease of your target while maximizing the decrease of your dark matter by modulating both time and temperature and observing the resultant material and then adjusting appropriately. However, David shares that it may not be possible to find that perfect balance if your target and dark matter are of the same polarity. Thus, changing your solvent is equally important during this experimental process. Without knowledge of such a law, refinement of could be fruitless. David also adds that one must be mindful of the law of diminishing returns: you’ll reach a point where making any more changes to these parameters will begin to have less and less effect. 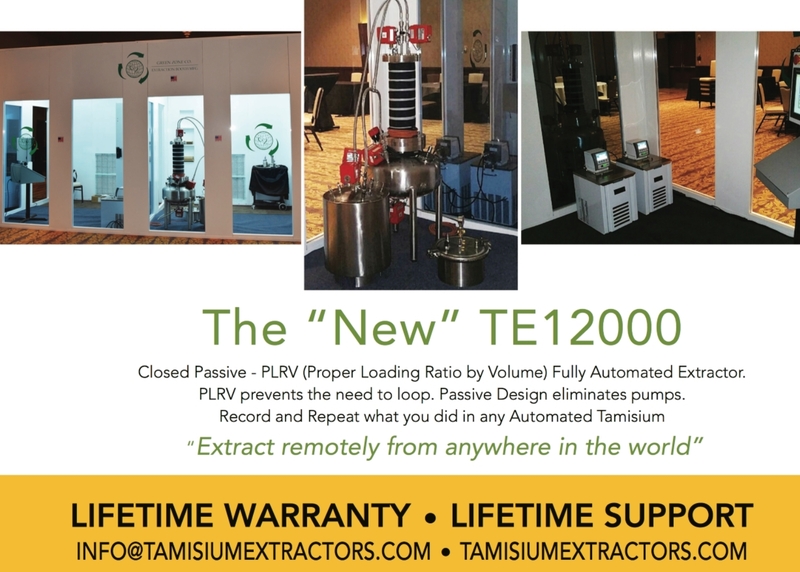 Tamisium Extractor’s TE12000 allows for you to tweak your extraction variables from anywhere in the world. Upon finding the right variables (e.g. how much heat and how long to apply it) to fit your extraction goals, you would have created an extraction formula, according to David. These formulas change as a function of your plant target. What doesn’t change, though, is a law of extraction. By learning these laws, extractors stand to avoid wasting time and resources on problematic loop systems that are trying, in vain, to change inflexible variables. David makes the comparison to chefs when describing great extractors that know the laws of extraction. Just like how multiple chefs can follow the same recipe, but only certain ones will create amazing meals, extractors can employ the same process, but only those who have an instinct for extraction laws will end up with the highest quality material. Understanding how heat works is an example of one such instinct. Adding heat to a solution increases their vibratory state by exciting the molecules within. This dynamic energy transfers back and forth across all the neighboring molecules, creating a space that allows liquids to move more freely. This phenomenon is most efficient when the materials is in a liquid form, as opposed to gas, since gas is not as dense and the molecules are less capable of influencing their neighbors. 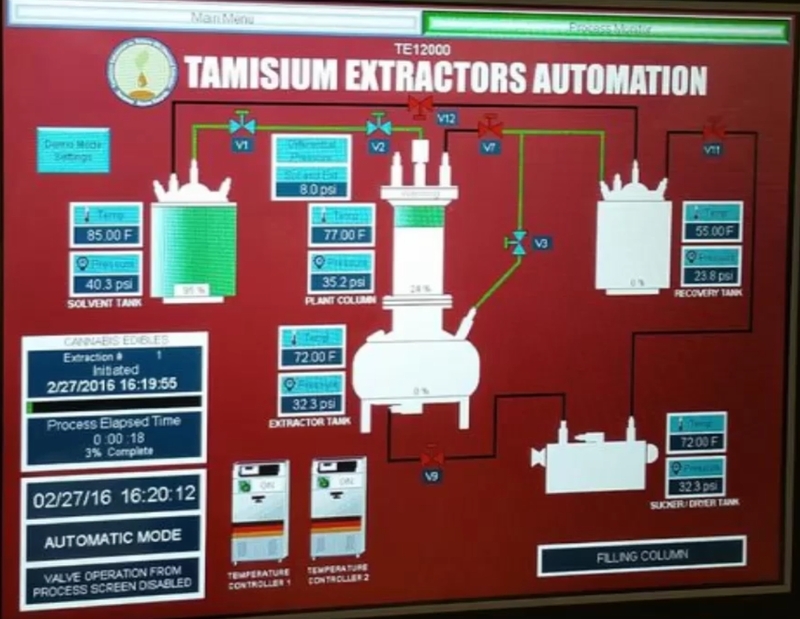 Mindful of the “Laws of Extraction”, the TE12000 by Tamisium Extractors encourages parameter tweaking at every step of the process. The amount of energy transferred throughout this procedure is a direct result of the amount of heat applied to the solution. Different degrees of heat can act as a catalyst for chemical reactions (both desired and undesired) to occur within the material. Thus, the amount of heat added, and when it is added, is critical. We now know that energy from heat is most efficiently transferred when the material is in liquid form. Thereby, heat is more effective when your solvent is in a liquid phase and soaking into or around the plant particles you are extracting from. Adding in the concept that increased surface area allows for more efficient transfer, we can conclude that breaking plant particles into smaller pieces can help you accomplish the same tasks in less time and make your solvent more efficient. A great extractor will be mindful of the fact that there is a large array of chemicals produced in every plant and each one is affected by heat and time differently (or not at all). 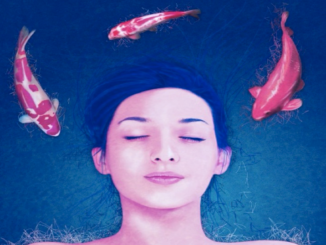 David emphasizes that since extraction is such a delicate process and heat, time, and polarity play such a crucial role in your success, having the ability to control these parameters is essential. He likens it to driving a car and needing access to the brake, throttle, and steering while. Mastering those parts of the car should be done before taking the car on the highway. As a parting note, David also mentions that in addition to the laws of heat and time, extractors must also know about polarity and its role in the process. For example, the polarity of the target and the polarity of the solvent should be as matched as possible. Heat and time can limit or increase the effective degree that polarity can have on dissolving something out of a plant. Your solvent selection should be very selective – it should target something that is either very non-polar or very polar. By knowing the laws surrounding heat, time, and polarity, extractors can concentrate on their target without needlessly trying to break one of the laws. David is dead set on both helping to educate the community and creating systems that take into account the laws of extraction so that the community, as a whole, can progress efficiently. You can also view a showcase of their revolutionary TE12000 System here. This incredibly customizable system comes with a lifetime warranty and support. You can even control it from anywhere in the world!